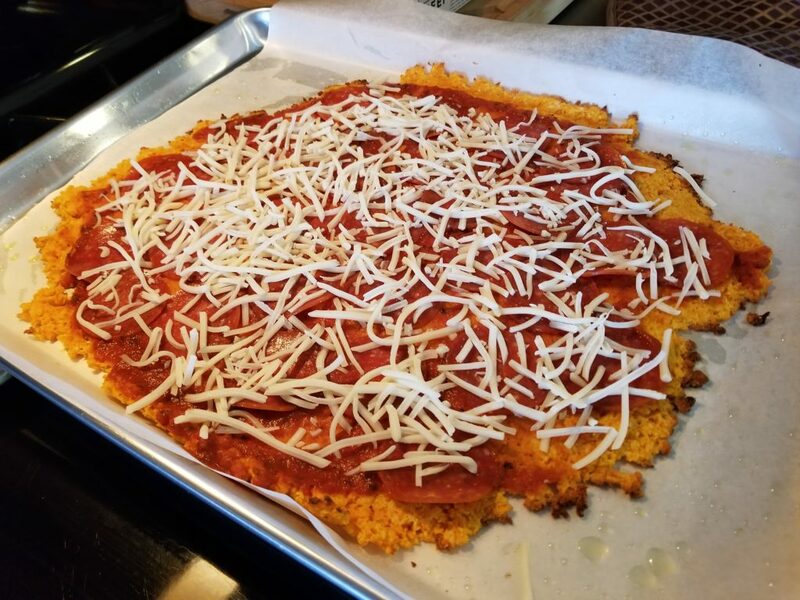 Pizza when you are trying to eat healthy?? 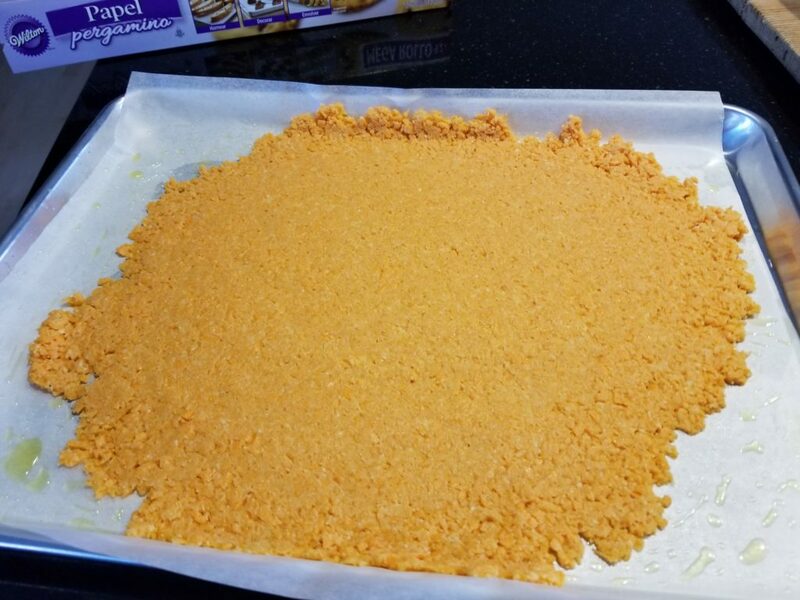 That is usually not possible unless you have a sweet potato crust! 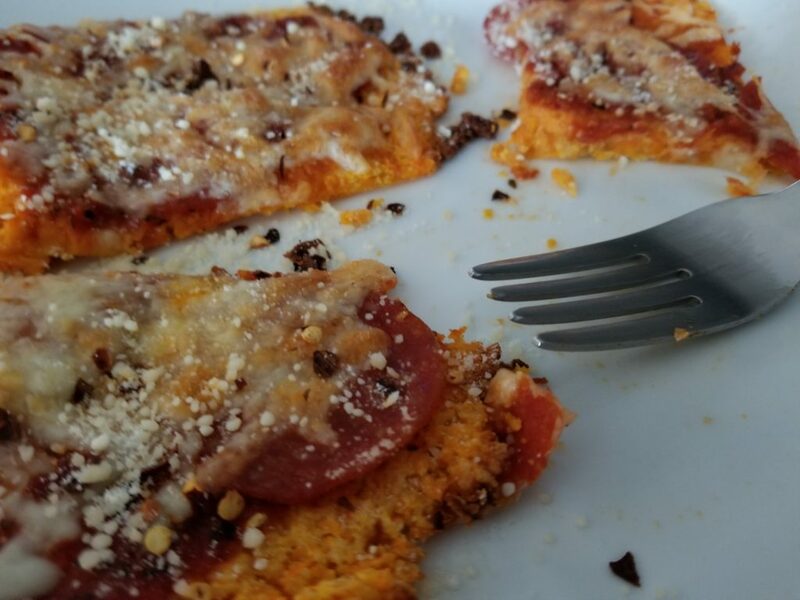 I have seen cauliflower pizza crust but never sweet potato until we were watching The Kitchen on Food Network last weekend. Chef Geoffrey Zakarian had this recipe on the show so we had to try it out. This turned out really good and I will be making this again. There are not too many ingredients for this one. 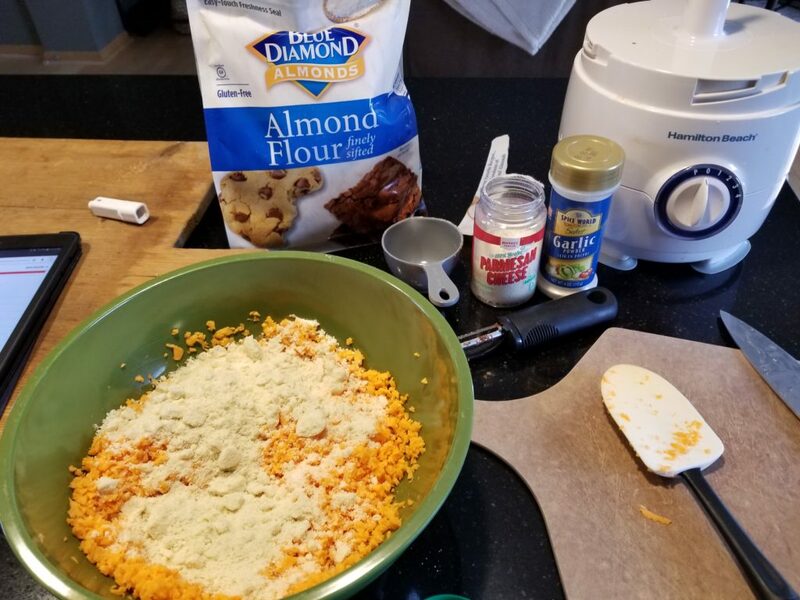 You will need to get some almond flour if you do not have any on hand. This makes it an excellent choice for a gluten free pizza. Mix it all up then pour out on a sheet pan covered with parchment paper. Brush the parchment paper with olive oil before adding the mixture. Top with another piece of parchment and press or roll until it is about 1/4 inch thick. You can shape it however you like. When you get it nice and flat, pop into the oven and bake for 25 – 30 minutes. The edges will start to turn brown. Remove from oven. Now it is time to add the toppings. 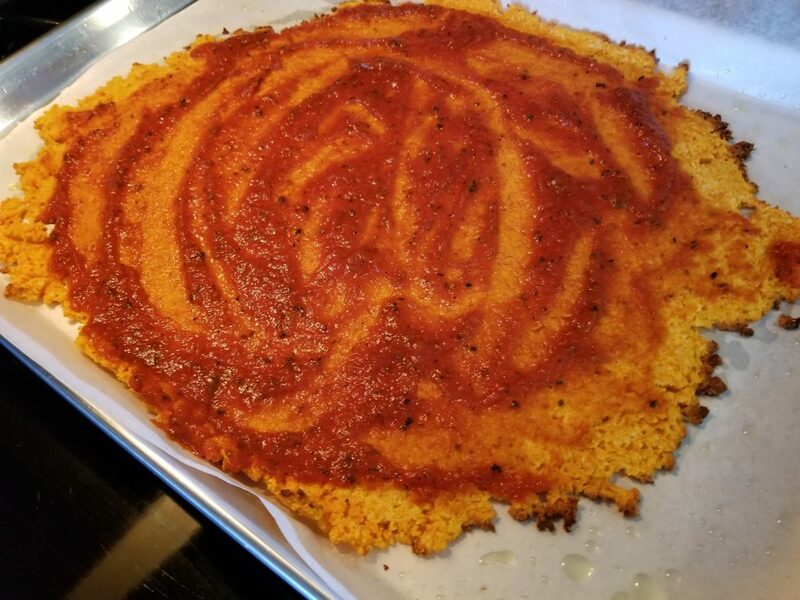 Start with a good pizza sauce. You do not need too much, maybe 1/2 cup. We added pepperoni and mozzarella cheese and some crushed red pepper. Now put it back in the oven for 10 – 15 minutes. 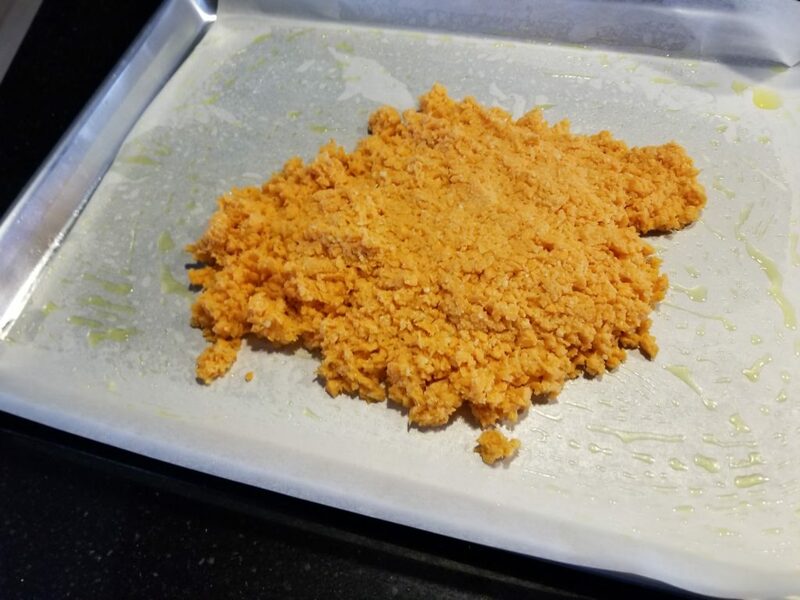 Just to heat the toppings and melt the cheese. Serve and enjoy! Cheers. Remove the crust from the oven and top with the toppings of your choice. Place back in the oven and cook until the toppings are warmed through and cheese is melted, another 10 – 15 minutes.